We love the story behind this beautiful home owned by a local Pensacola couple. 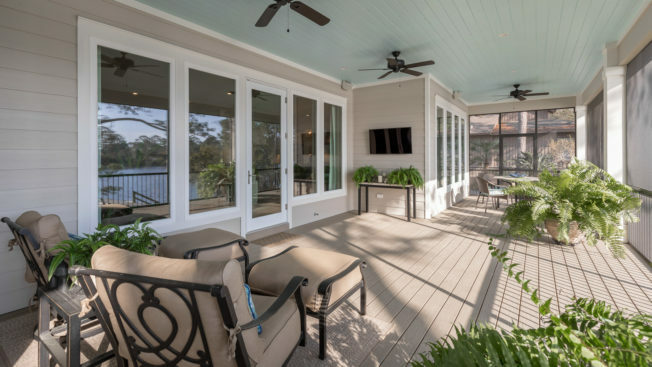 One evening the husband starting drawing the layout of their future home which started with his vision of the back porch. 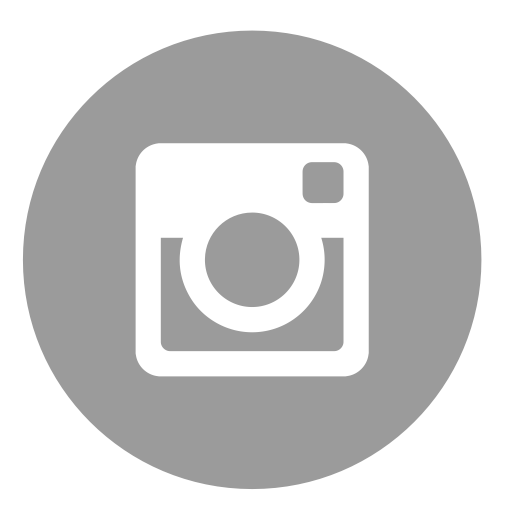 From there they started drawing out the rest of the house together. 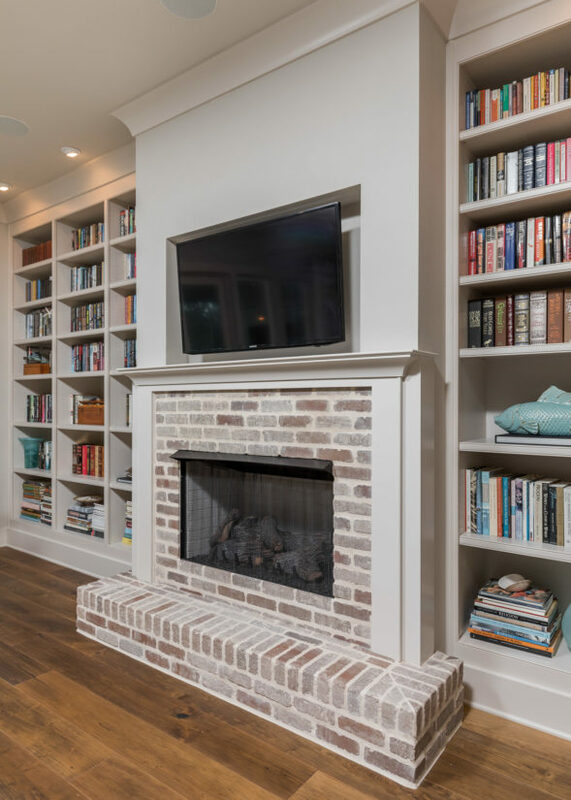 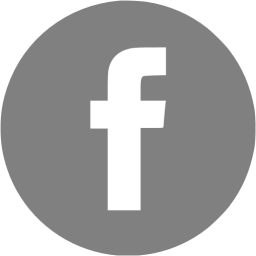 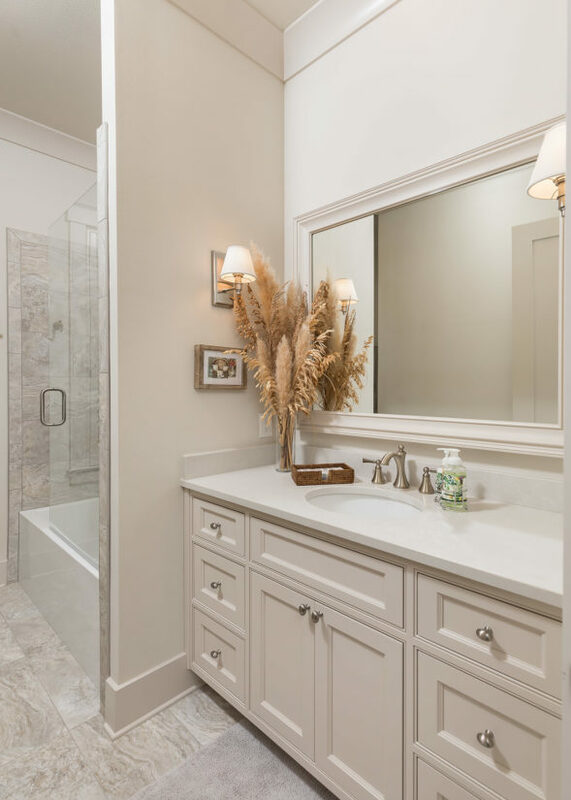 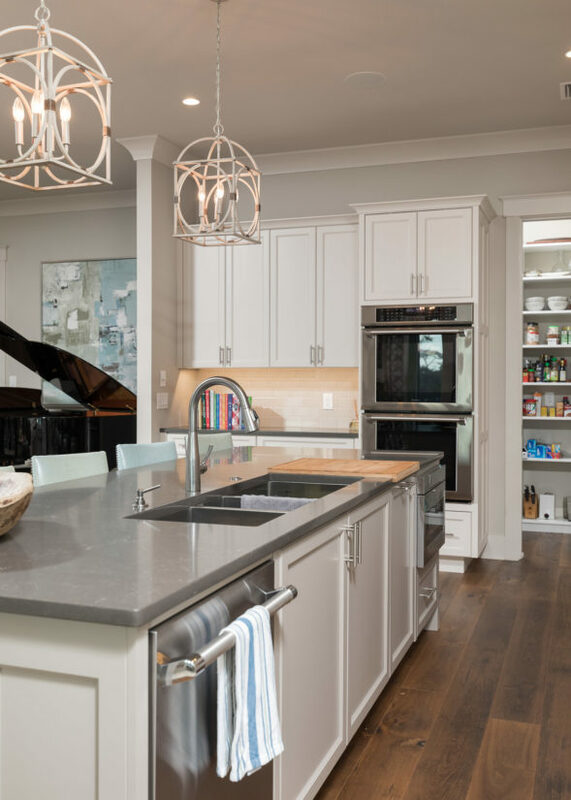 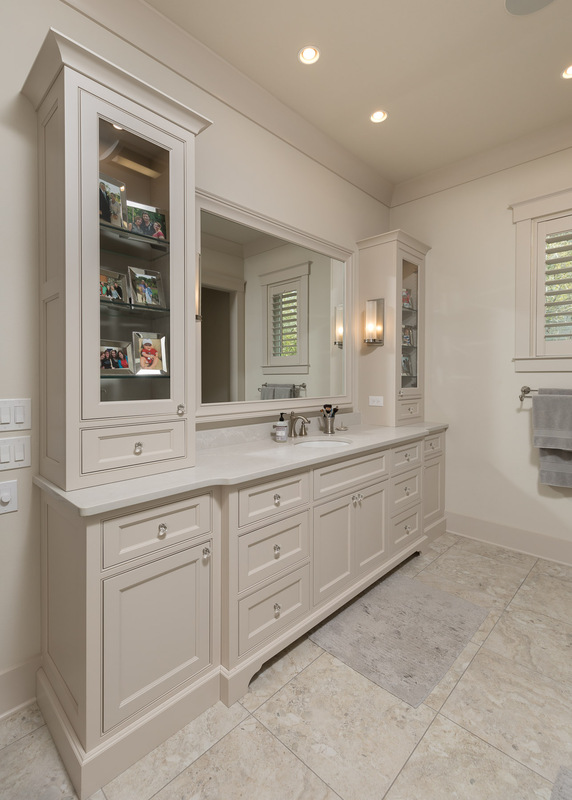 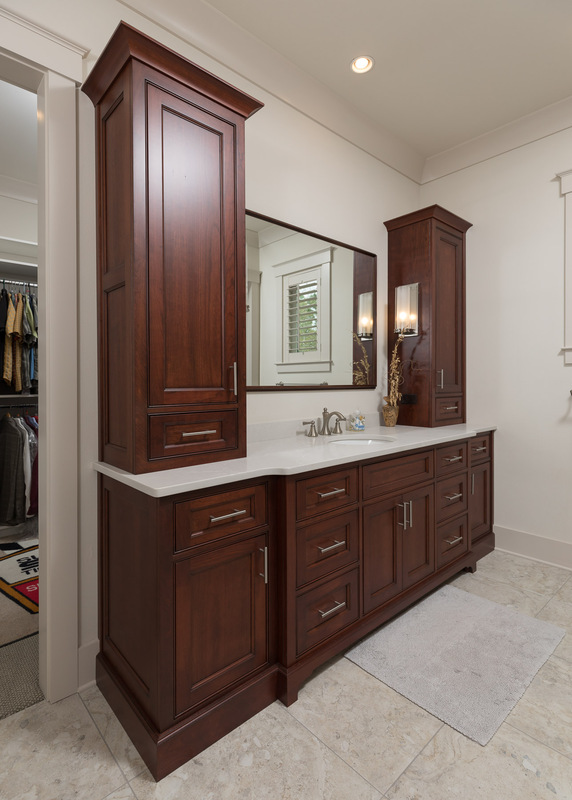 By the time they met with Rick Sprague of Sprague Construction they had a rough draft plan of the home then met with us to talk about their ideas for their home cabinetry. 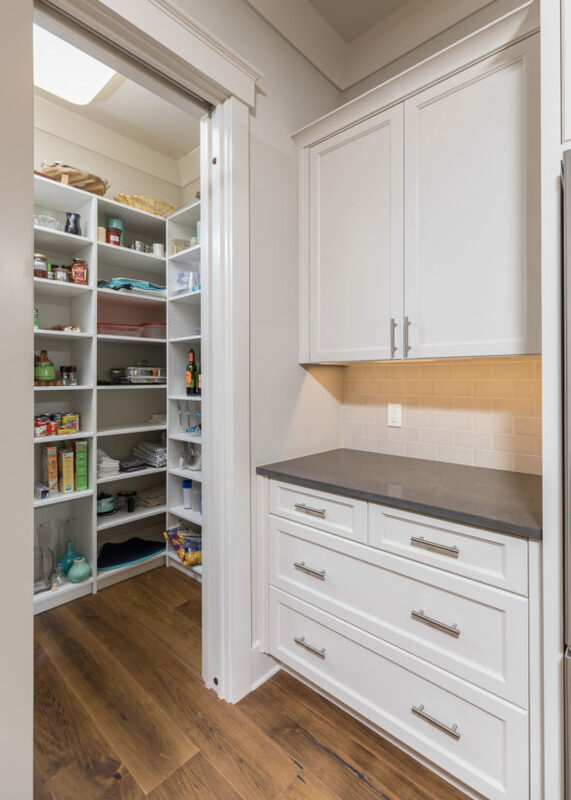 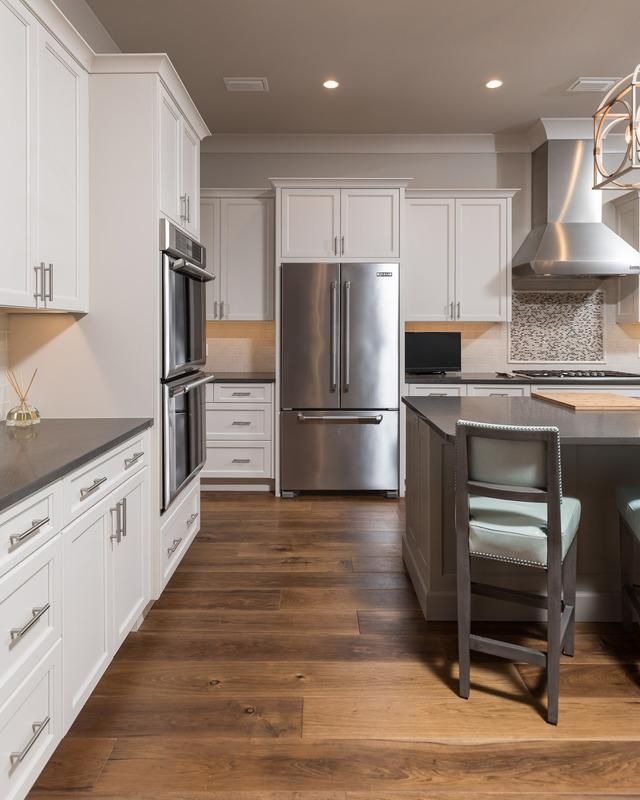 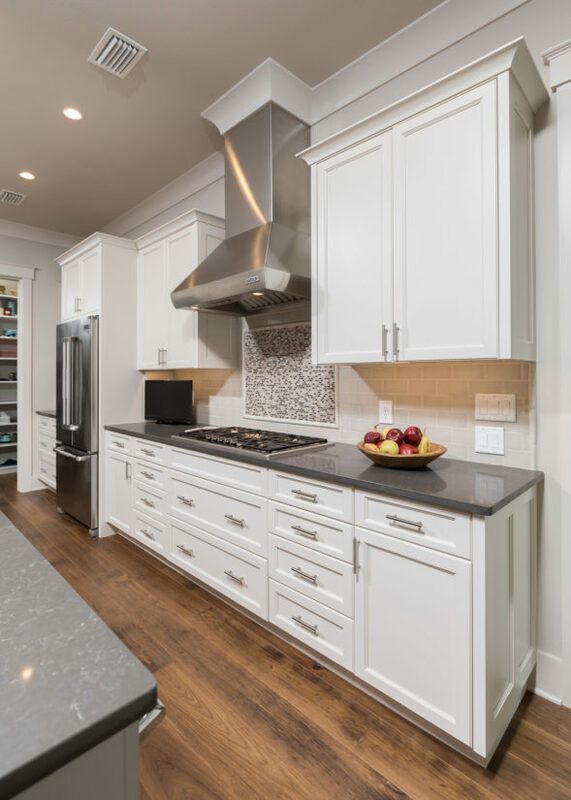 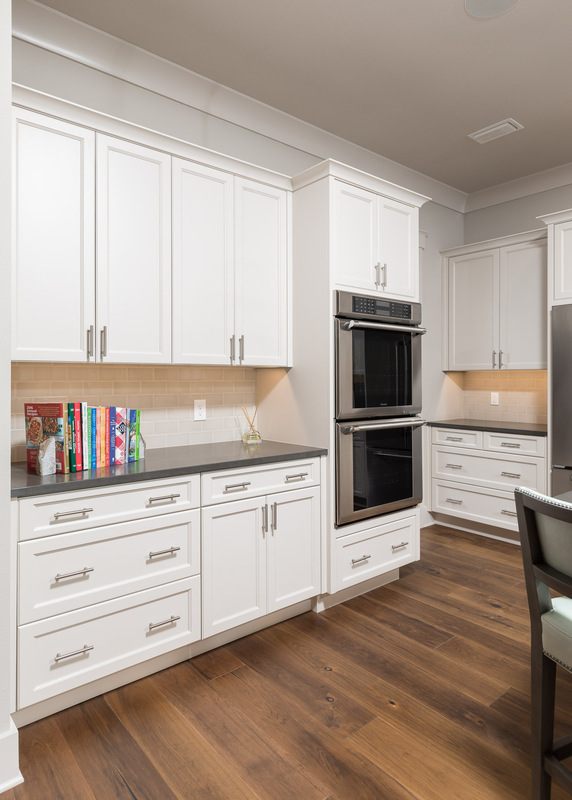 They chose neutral tones with simple yet beautiful recessed panel cabinets and added a few special features. 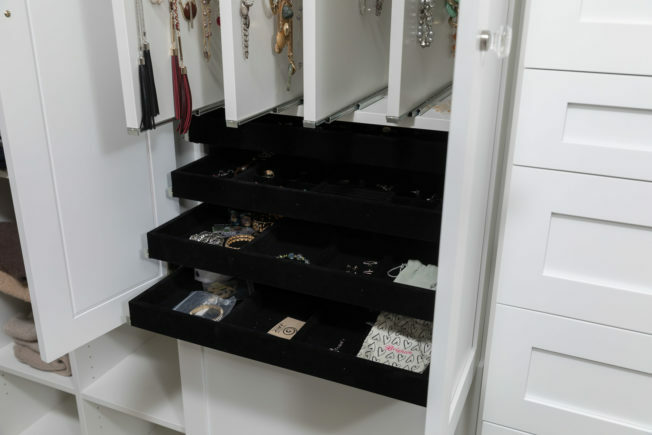 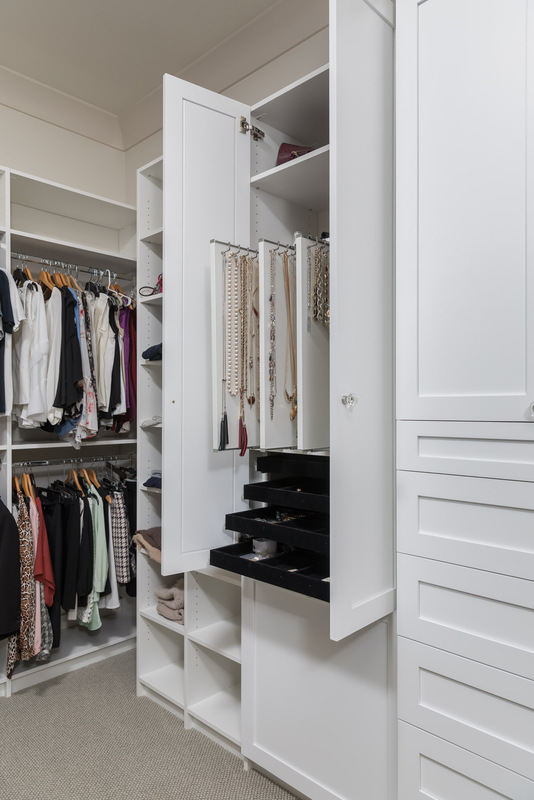 The wife had beautiful jewelry pieces that she wanted to have more organization for in her closet so we added built-in jewelry hangers and trays from Hafele. 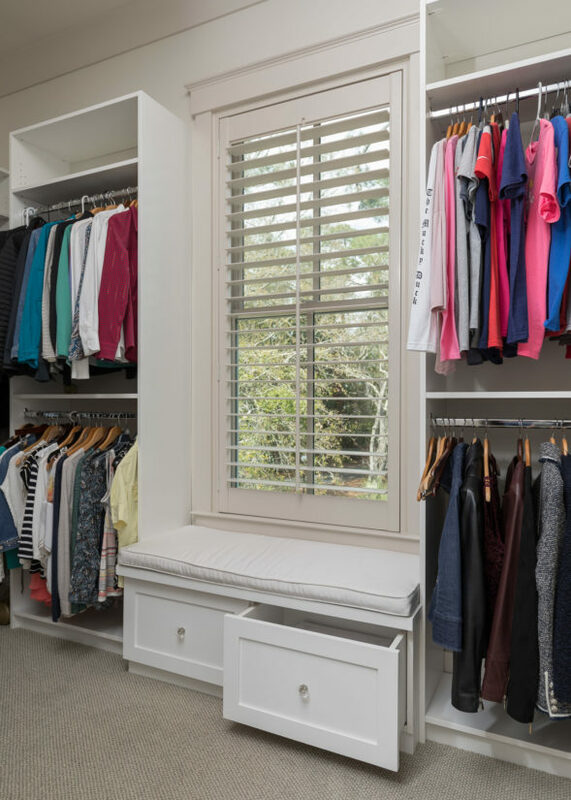 In her master closet, we also added a window seat with drawers beneath so that she could have a place to sit while putting on her shoes and a sliding full-length mirror which covers her shoe shelves so that she could still have space for her mirror. 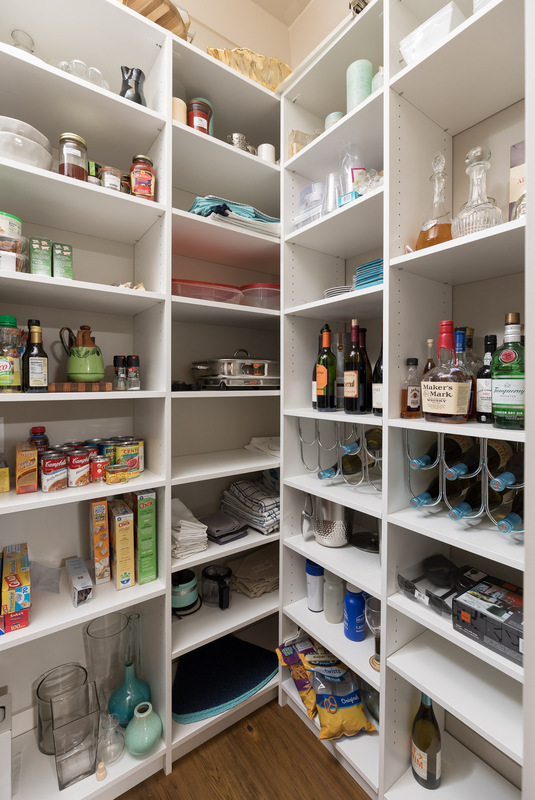 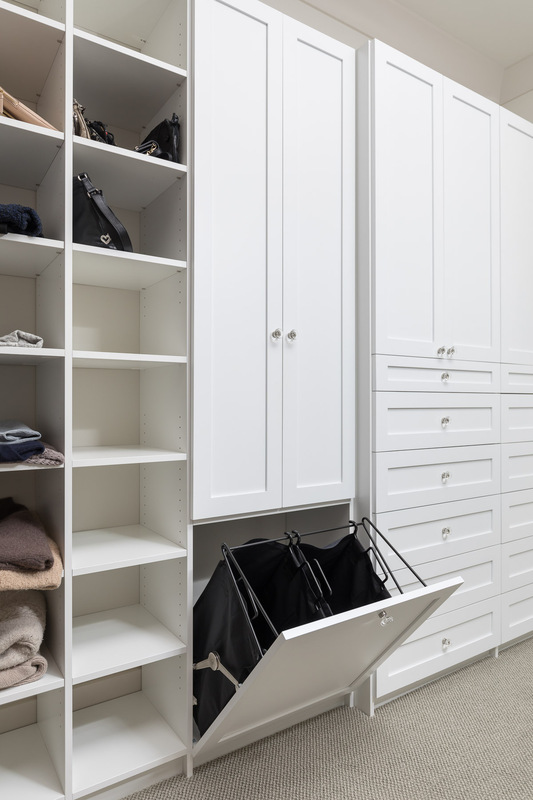 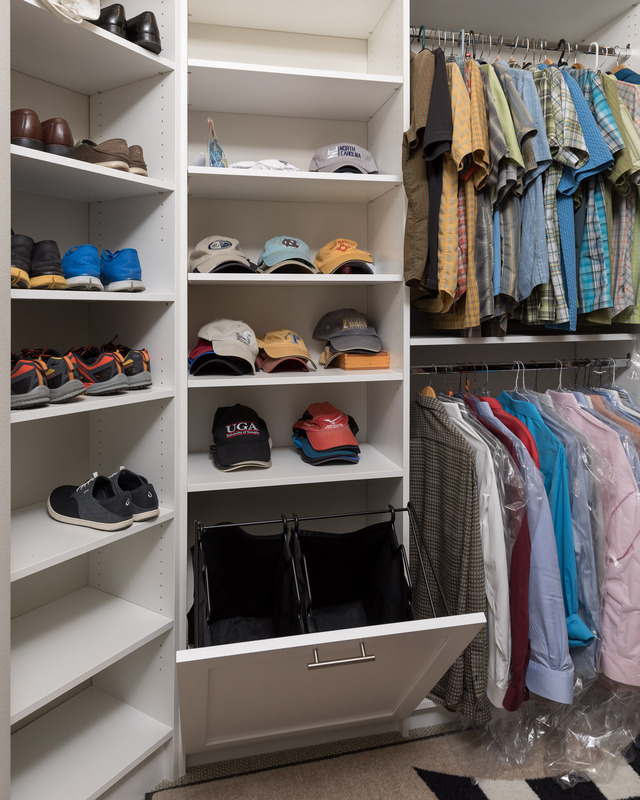 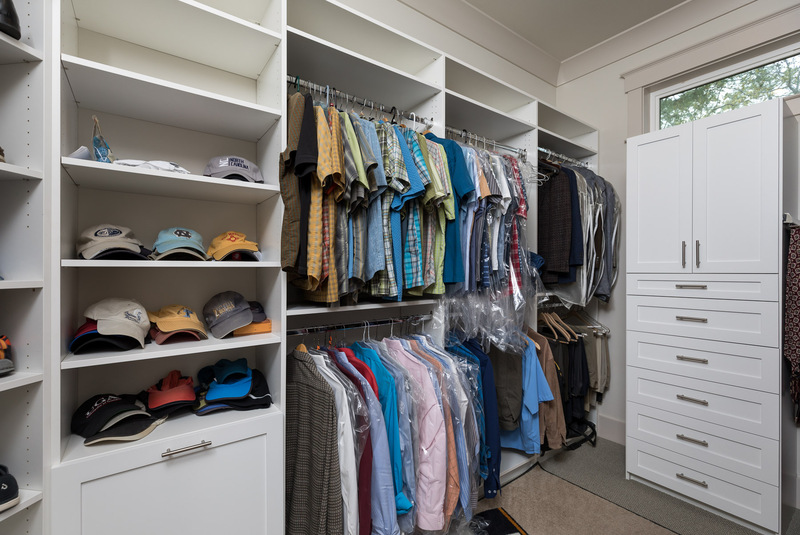 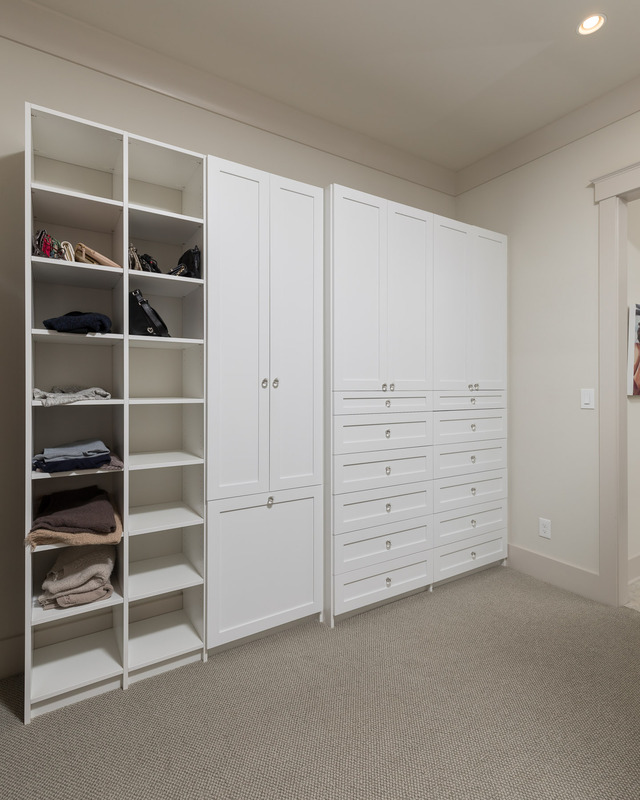 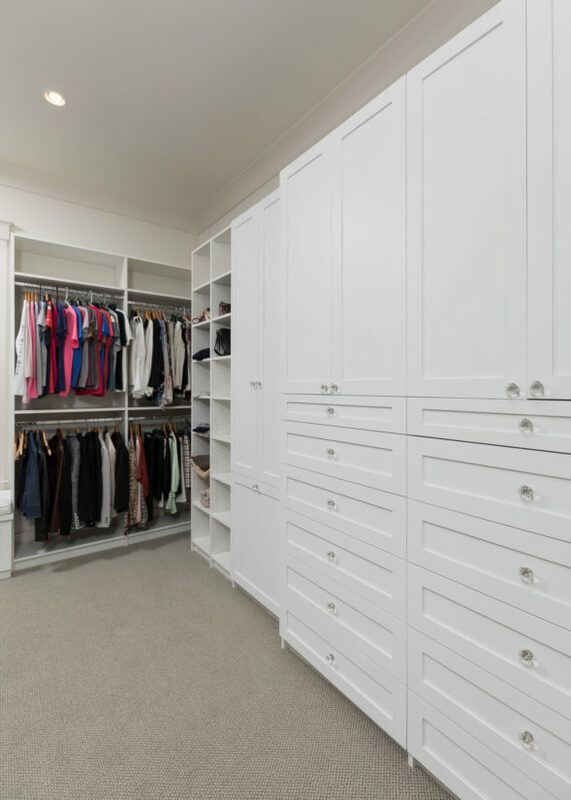 Both master closets feature a tilt-out laundry hamper and adjustable shelving for extra storage. 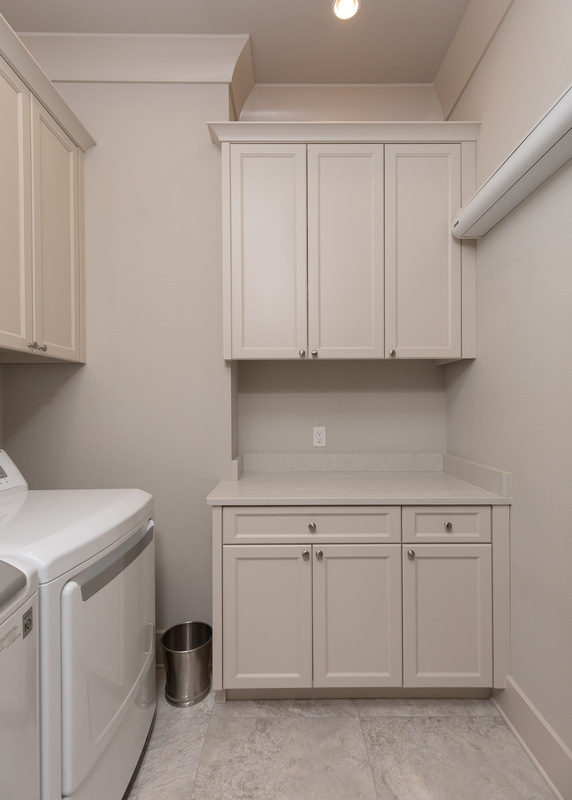 Two other unique features in this home are the husband’s display case and a unique drying rack in the laundry room. 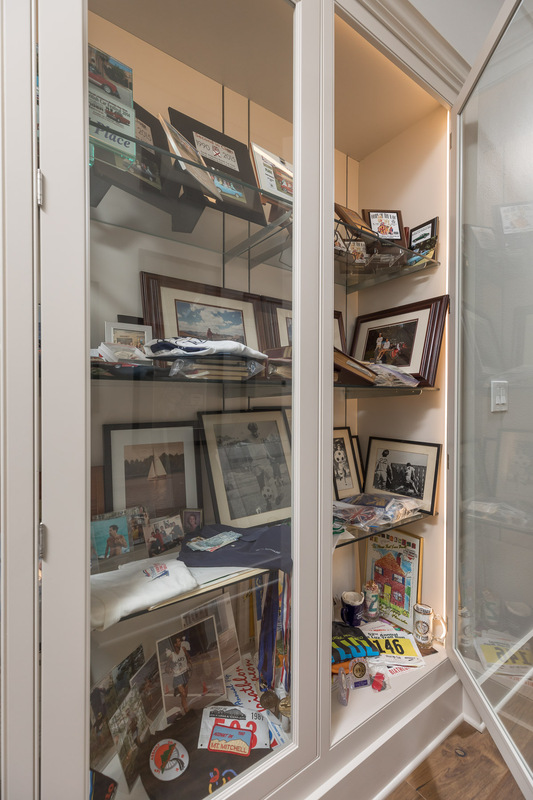 The display case features photographs and memorabilia the adventures of his life. 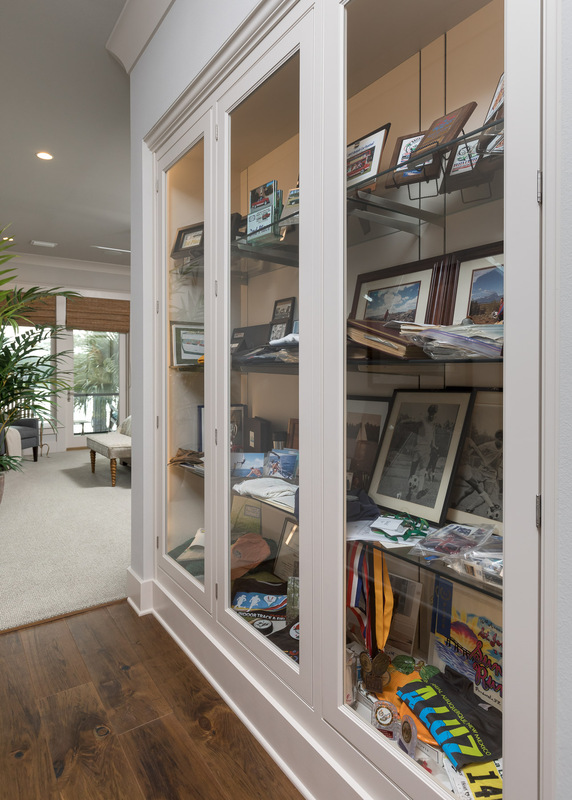 The display case has push-latch doors so that he can easily open up the display to show off his awards and photographs to friends and family. 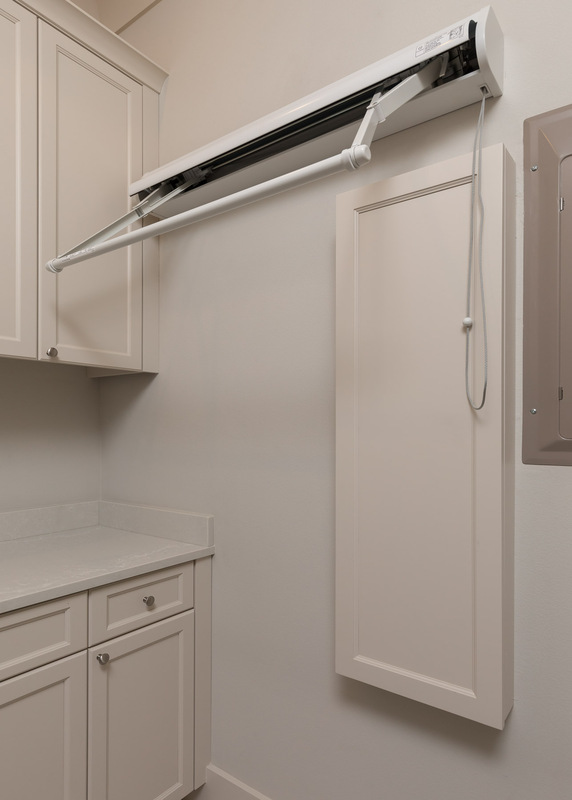 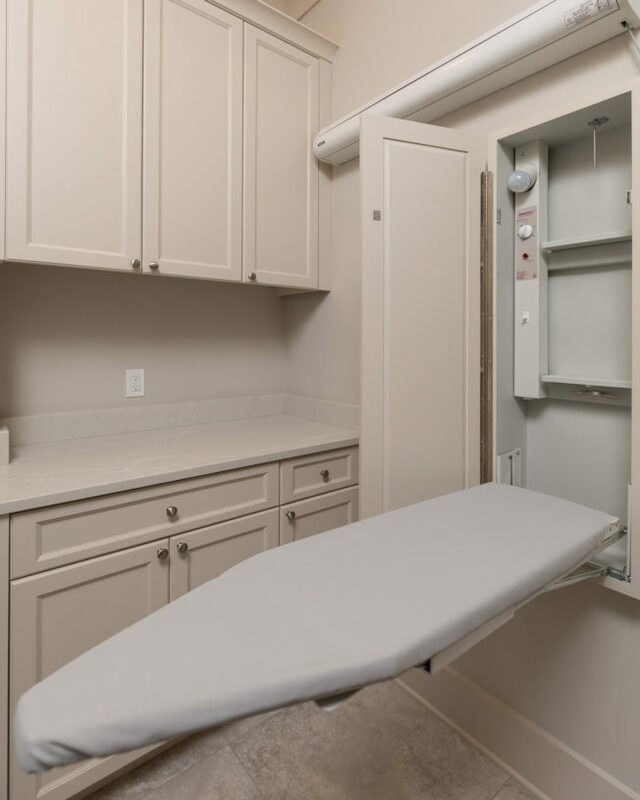 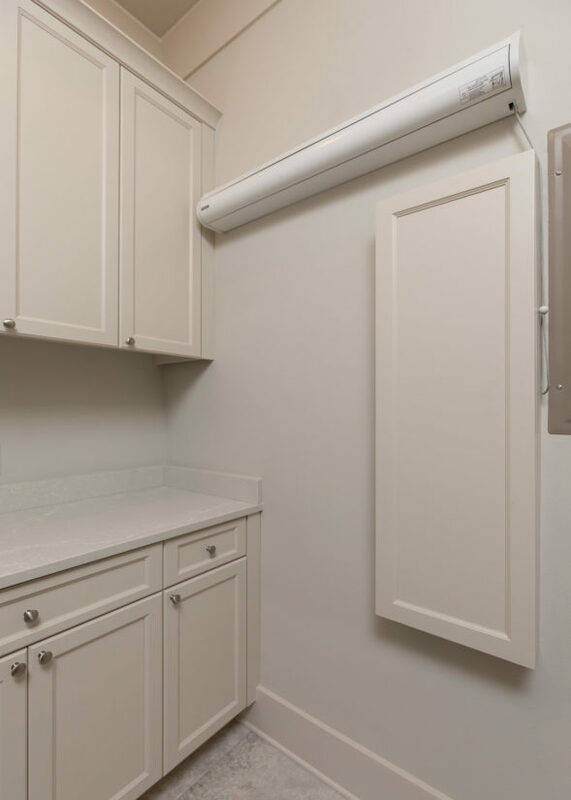 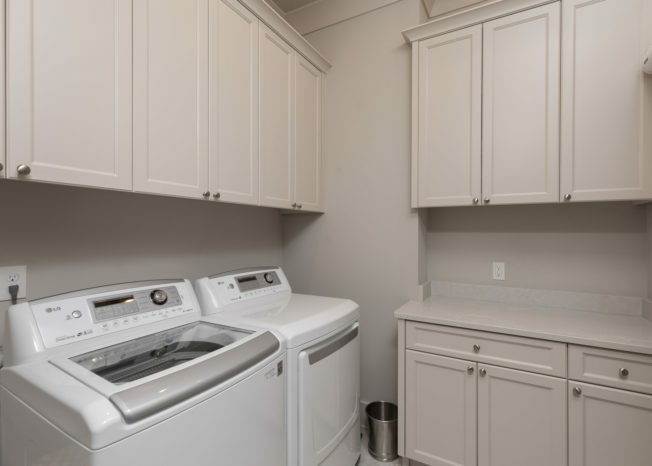 In the laundry room, they needed something to hang dry their clothes so we suggest the wall mounted clothes drying system from Richelieu to optimize space in a smaller room. 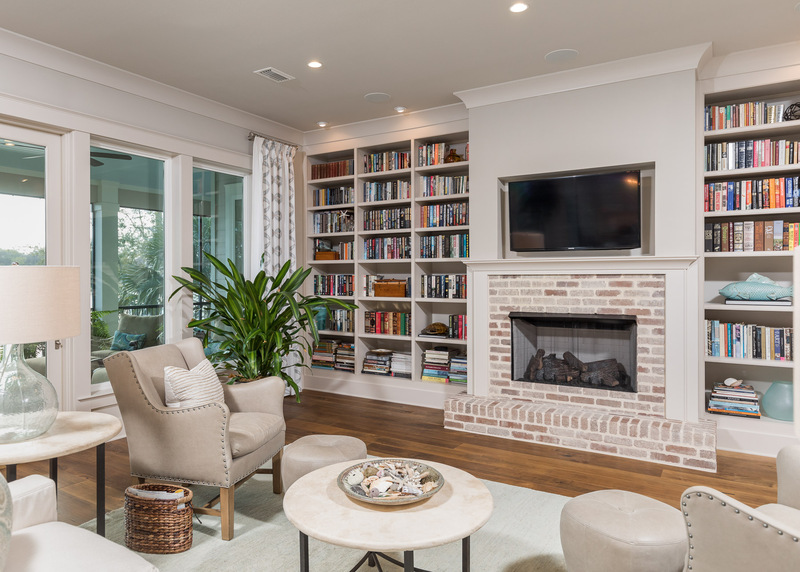 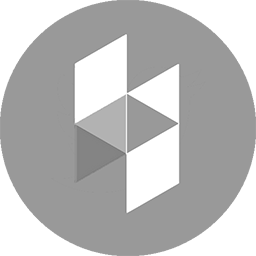 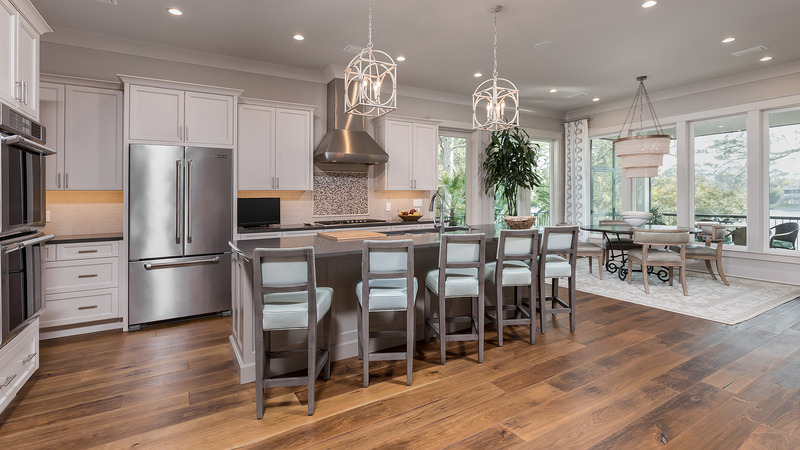 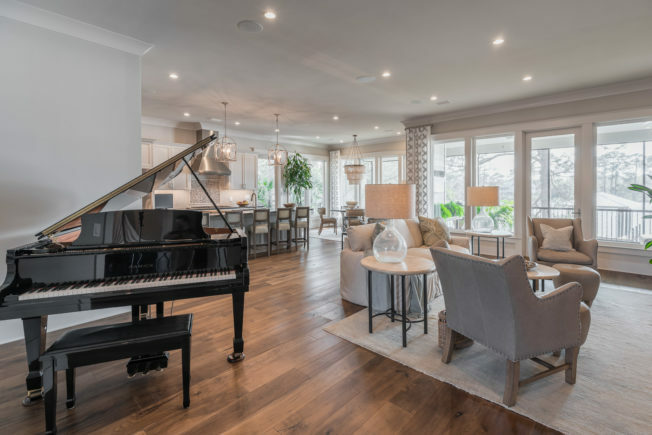 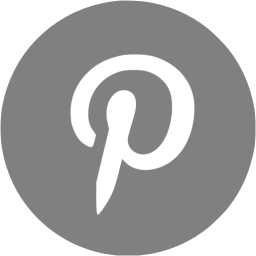 Take a look at this beautiful home in the following photos and if you see something you love, find them on our Houzz or Pinterest and save them to your boards!